A nuchal cord — or a cord around the neck — is one of many things mothers-to-be fear about childbirth. The thought of your baby being ‘strangled’ by the umbilical cord can cause so much worry. Fortunately, a normal, healthy umbilical cord is protected from blood vessel compression. Babies receive nutrients and oxygen via the umbilical cord, not by breathing through their nose or mouth. They don’t actually breathe until after the birth, when they take in that first breath of oxygen into their lungs. This is one of the many reasons why it’s important to leave a baby’s umbilical cord intact (uncut) for at least 2 minutes after the birth. The cord will continue to provide oxygen, and is the life support system for the baby, until his head is born and oxygen hits his nose. Read more about why it’s important to delay cord clamping. It’s the very same reason why babies don’t drown during a water birth, because they have an oxygen supply already attached. They don’t take their first breath until they are stimulated by air. But what about when the cord is around baby’s neck? It’s common to hear stories of babies being born with the cord wrapped around their neck. The reason for this is because… nuchal cords are very common. Some doctors and midwives don’t even mention it during childbirth, because they simply loop the cord over the baby’s head when he or she is crowning. It’s usually no big deal. Unless it’s a dire emergency, the cord should be left alone during the birth, to prevent further compression or complications. Studies report figures of up to one third of babies being born with a cord around their neck – that’s 1 in 3 babies. This is the same number of babies being born by c-section in Australia and the United States. Hardly a rare event. Cords come in a range of lengths. In this study, cord length ranged from 19 to 133 centimetres. The average umbilical cord length is around 50-60 centimetres long. The human body is ever surprising with its clever design. Our bodies have been built to ensure our survival as a species. Even the umbilical cord has it’s own set of party tricks. A normal, healthy umbilical cord is filled with Wharton’s jelly, a soft, gelatinous substance which protects the blood vessels inside the cord. This substance helps to protect the cord against compression as well as true knots (which can occur in around 1% of births) as a result of the baby’s normal movements. If a medical condition was impacting the amount of Wharton’s jelly in the cord, or if the cord was not in good condition, then perhaps there may be complications. However, the umbilical cord is carefully designed for uterine life. For the vast majority of babies, the cord is well protected. Although this is not a nuchal cord, look at the impressive cord bundle a set of twin girls managed – and are happy and healthy today. Cords like this are protected thanks to the simple yet magnificent Wharton’s jelly. To see more knots and nuchal cords at birth, click here. Doctor Rachel Reed is an Australian midwife, researcher and lecturer, who studied nuchal cords for her PhD. To put her commitment and knowledge on this topic into perspective, a PhD is 6 years part-time or 4 years full time. Some women say their baby’s heart rate was dropping when they were pushing. Studies have proven this is normal behaviour for a baby experiencing pressure around the head. Giving birth in an upright position can help, whereas being on your back can make it worse — and more painful. Induction of labour with medications like synthetic oxytocin (Syntocinon or Pitocin) can also increase the likelihood of fetal distress. This may be hard to believe or hear, especially if you’ve lost a baby and his or her cord happened to be wrapped around the neck. Since one out of three babies is born with a nuchal cord, it makes it quite likely that a nuchal cord will also be present in babies born with complications too. However, several studies have reported that a cord around the neck is unlikely to be the main cause for adverse outcomes. Another study came to the same conclusion. Many other conditions (including unknown complications) can cause adverse outcomes, making it very easy to blame the visible cord around the neck. Stillbirth and loss is still an area of much needed research. Doctors and researchers themselves can’t be certain what causes 100% of cases. But hopefully, we’ll continue to make key discoveries over time. Something parents can do if they are worried about their baby is to keep an eye on baby kicks. Even a tight nuchal cord isn’t uncommon. A recent study found a tight nuchal cord occurred in 6.6% of over 200,000 consecutive live births, where they classed ‘tight’ as being unable to manually unloop the cord over the baby’s head. The College Of Obstetricians and Gynaecologists in the United Kingdom advise that there is no reason to perform a c-section section due to a nuchal cord. Unfortunately in a small percent of births, a range of cord accidents do happen – and not all of them are due to a nuchal cord. According to a recent report from the Australian Institute of Health and Welfare, 1 out of every 135 (0.74%) babies born in Australia is stillborn. In the United States, it’s 1 in 160 births. While the classification of a stillbirth varies around the world, in Australia, a stillbirth is classed as ‘the birth of a baby who shows no signs of life, after a pregnancy of at least 20 weeks gestation or weighing 400g or more’. A study in the Journal of the American Medical Association found that placental issues (for example placental abruption) were the leading cause of stillbirth at 26%, which was similar to a study in Sweden. A further 14-19% of stillbirths were due to infection. As for cord abnormalities, 10% of stillbirths were due to — or assumed to be due to — cord problems. The range of cord problems included vasa previa, cord entrapment, evidence of occlusion [blocked], fetal hypoxia and prolapse. When you do the maths, the likelihood of a genuine cord accident due to being wrapped around the baby’s neck, cutting off oxygen, is very small. In fact, it may not even be the underlying problem at all. There may be a visible nuchal cord, leaving everyone thinking it’s a no-brainer as to the cause of death. But without an autopsy (which parents may or may not feel comfortable having done), other reasons may be completely overlooked. The number of loops is not important. Remembering from above, the uterus, placenta and cord all move down with the baby during labour. A study found the number of nuchal loops varied from 1 to 4, and the presence of 2 or more loops of cord around the neck was reported to affect between 2.5% to 8.3% of all pregnancies. They stated, “0.1% of babies have 4 or more loops of nuchal cords and the maximum reported number was 9”. The study also mentioned most babies in the study had Apgar scores of 7-10 (where 10 is the best score) after one minute, and only eight babies had an Apgar score of less than 7 after five minutes (5.20%), suggesting that any possible effect is only transient. Inductions of labour, especially with synthetic oxytocin (Syntocinon in Australia or Pitocin in the US) can cause fetal distress. Once you’re hooked up to the drip, it will remain on until after the birth. Many mothers-to-be accept an epidural after these inductions, because synthetic oxytocin can make the uterus work very hard. Artificial oxytocin doesn’t work the same as natural oxytocin (doesn’t cross the blood-brain barrier) nor are the contractions like natural labour contractions. With an epidural in place, the mother-to-be can’t feel a thing, but her baby is still under the effect of the strong, constant contractions due to the synthetic oxytocin. The uterus works harder and faster, meaning the blood and oxygen supply can easily become compressed — not just from the induction, but also because the mother is now immobilised, flat on her back. This can lead to the baby becoming distressed, requiring an emergency c-section. Then everyone thanks the doctor for saving the baby. This is called the cascade of interventions — you start one intervention (the induction), then more are required. It can quite easily snowball into an emergency c-section. However, if there happens to be a cord around the neck at the same time, this may be used as the reason for the c-section, with no further investigation performed. Take a look at the clip below from the must watch documentary, The Business of Being Born. It explains how an induction with pitocin/syntocinon can result in fetal distress and emergency c-section. The best things to do if you want to avoid extra stress and complications when your baby is being born, is to avoid an unnecessary induction of labour. Ask for evidence or proof that the baby needs to be born right away, not just because you’ve reached your estimated due date. Seek actual test results or signs that something is not working well. Being on your back during labour and birth can cause problems too. Being stuck in bed is inevitable if you have an epidural, which is the usual next step if you have an induction with synthetic oxytocin. Because a labouring woman will be stuck in bed and can’t move her pelvis with an epidural, her baby doesn’t have help to move down into the most optimal position. This may result in difficulties being born, requiring forceps or vacuum, or worst case, emergency c-section. Getting informed with quality, evidenced-based information, and not just what you hear from friends or family, is crucial to set yourself up for the best outcome. We research our major purchases before we buy them; we need to research major life events too. Having a doula can reduce the incidence of many interventions. Read our articles about the risks of induction of labour and the benefits of doulas. It may be the last thing you want to hear (and the last thing care providers want to say), but sometimes, doctors just don’t know why complications have occurred. It can be especially hard when it looks to be as obvious as a nuchal cord, and parents are understandably emotional and desperate for answers. Yes, a cord accident can sometimes occur, but there are lots of things we still don’t understand about childbirth. Conception is a magical, mysterious thing. It’s complicated yet simple at the same time – and the same goes with birth. All we can do is trust the process. While life sometimes throws some distressing events our way, where things just don’t work out as we hoped and dreamed, sometimes there is no-one or nothing to blame. Remember: Mother Nature works beautifully the vast majority of the time – the population of the planet is proof of that. It’s not your fault if something goes wrong. And it’s very likely there was nothing you could do to have prevented it. A cord around the neck is a very common occurrence, and needn’t be feared. However, if you have any concerns or feel that something isn’t right, count your baby’s kicks and always speak to your care provider for reassurance or diagnosis. Hi Norah. I just had my bb 2 weeks ago. I was over 41 weeks. Don’t worry now, in the moment you will make the decisions based on what’s best for baby and you. My birth wish was a natural birth, but the pain was too much, and I got the epidural. Then there was merconium in my waters, bb heart rate was showing increased distress, cord was around the neck, and bb was not doing well. in the end the fantastic care team was running though the hospital to get me into the OR, and deliver my beautiful son via c-section. We all have our plans, but birth is unpredictable, and in the end a healthy bb will come home with you. All the things I feared (c-section, epidural, etc…) didn’t matter in the end. focus on the outcome and stay positive. Norah, my little girl was born with her cord around her neck 3 times. She had some breathing problems for the first hour or so, but it certainly beat recovering from a c-section, and I’ve had one of them, too. Don’t stress yourself out about it, please. It’s hard not to worry about your baby, but if the cord is the only reason the Dr wants to do a c section then the Dr clearly isn’t up to date with the information s/he should know and is over reacting based on lack of knowledge. Wanting to give your baby the best start in life with a vaginal birth (if possible) is not being selfish. saying the doctor ‘clearly’ isn’t up to date and ‘over reacting’ based on lack of knowledge is pretty irresponsible. Everyone is an expert online and knows more than the doctors. It’s scary because people will actually take the advice they see online. I think it is very important to educate yourself and know your options. I know doctors don’t always get it right and some advocate certain birth options over others but not wise to just rubbish someone when you don’t have proper context. The fact remains that many OB’s not only do not stay up to date on current research, they do not even follow the current standard of care, per their own professional org, the American College of Obstetricians and Gynecologists. A smart mama informs herself, because, when push comes to shove the doctor is going to put his own best interests before hers. Which is why we have twice as many C-sections as are medically appropriate, and being in labor near 5pm on a Friday is a good way to end up with one. That’s why articles like this, and comprehensive studies of all the facts and the actual data recorded over years, by people like Dr Rachel Reed – are so fantastic. Education is, so important. And the facts are in ladies, nuchal cord is no reason for a cesarean. As a mother that lost her only child to a cord accident (the cord was wrapped around my daughter’s neck four times), causing her still birth, I think sometimes people should put their birth plan on the back burner and actually listen to their doctors. They are the ones who went to medical school and they say things for a reason and not just to hear their own voice. Trust me, not wanting to take your doctors advise just because you want to do things your way, is not worth the chance of having to live (try to live) the rest of you life without your baby. just always pray and trust God… it will come naturally. Hi Nora. Our daughter died in utero due to the cord being wrapped around her neck. She was completely fine at a friday ultrasound and 12hours later she died. All she had to do was move slightly more head down and to tge right and it was just enough to cut the blood supply off completely. Ive had one c section and one VBAC vaginally birth i i can tell you at the end of the day itonly matters that they are healthy. If your worried about the effects of poor gut biome in your baby due to a c section try ‘seeding’ at birth. I was born with a dead cord around my neck, I’m a miracle lol. But I have had one with his cord around his ankle – no issues with his foot, and two around the neck – both doing fantastic. And one was born posterior naturally. Babies DO need their necks to ‘breathe’ before, during, and after birth… they need oxygen-rich blood to be delivered to the brain via the neck! If the cord is wrapped tightly for long enough the brain will be starved of oxygen. Good article, and most of the time the cord is not a problem, but sometimes it IS a problem. There are comprehensive studies showing that approximately 11% of stillbirths are attributed to cord issues. I also know someone who’s son has cerebral palsy as a result of this happening. My daughter’s cord was around her neck and it was very very tight. I am ever grateful to the well informed and very patient attendants who gently prised it loose and lifted it over her head. We cut the cord about 60mins later. She was also born in the caul. Hmmmm….My boy had to have the cord cut when just his head was showing as it was around the neck a number of times….turned out to be best, as we had a conflicting blood factor and the 200 extra ccs from me, would have meant he would need a transfusion….so they said…..
Huh. Interesting, because if the extra blood would’ve been from the placenta, it would be his own blood, so not yours. Mother’s and baby’s blood don’t cross contaminate unless there’s a trauma that mixes them. Anyone that has even the most basic training in L&D does not ever place a woman “flat on her back”; even in cesarean sections women are placed in a uterine displacement tilt. Although there are some points that are valid in your article, I would like to point out that unless a woman has prepared for the pain of childbirth and has strong labor support that epidurals become a favorite request and that although I would much rather assist a family to have an unmedicated birth on a birth stool or using a birth bar, that some are just not able to cope with the intensity and an epidural becomes part of their birth experience. My L&D unit places all women who choose epidurals in a new position hourly and elevates a leg on a “peanut ball”. If a woman is considering an epidural or is interviewing L&D units, they should ask if this tool is available https://www.cappa.net/documents/Articles/Peanut%20Ball.pdf By elevating the leg, the pelvis is able to open and studies show a huge decrease in association of epidurals and cesareans with the use of the peanut ball. The other point I must draw out of your article is how fetal heart rate deceleration when compared to uterine contractions look very different due to the three primary causes that you outlined. Indeed,”early decelerations” are from the compression of the head, but are a mirror of the contraction with a gradual decline. Similar looking decelerations called “late decelerations” are more ominous and look similar to their early counterparts, however they lag behind the uterine contraction and are associated with placenta perfusion issues. When I see a steep deceleration in the heart rate that is associated with the contraction, there is typically a cord hung up on something (neck, limb, body or from a low level of fluid not buffering). As long as there is good variability (squiggly line) and accelerations the studies suggest that the baby is still well oxygenated, variable decelerations by themselves are never a reason to operate. I am a huge advocate for natural and fear-free labor and deliveries and believe that most L&D nurses that I know feel the same way. I encourage you to consider that the more we can integrate our wisdom instead of drawing a hard line in the sand and creating an “us vs them” relationship. Labor after all is like a box of chocolates, each unique and hiding surprising sweetness, the key is to remain flexible in “the plan” so that you don’t have your experience wrecked if you get the orange cream and you were expecting a caramel. Sarah, I’m not sure where you work but in the U.S. my experience is that nearly ALL women are in fact put flat on their backs to this day. sad and crazy . . Unfortunately I have to disagree. I went in my L&D in ACTIVE labor and the first thing the nurse did was lay me flat on my back. When they were looking for my son’s heart rate they couldn’t find it. Not only was I miserable but I couldn’t breathe. After she finally adjusted my position, like magic, his heart rate appeared. That action cost me my trail of labor and I ended up with a csec. I have worked in the birthing field for over 30 years. Some mistakes in your article that need to be addressed. 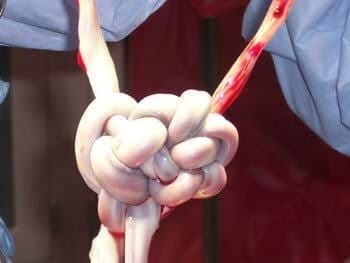 Whartons jelly does not coat the umbilical cord, it is actually inside the cord surrounding the blood vessels to prevent them from being pinched. Vernix can be on the cord as well as the baby, but it is more like a thick lotion to lubricate and keep tissues from waterlogging. It would not protect from pinching or the cord..
Also, though the process does allow for the uterus to get lower and the cord to lengthen in some cases depending on where the placenta is implanted and how long the cord is the cord can and does cause both issues with the positioning of the baby as it rotates at times and with the time of decent and how successful that is. I have attended births where the mother had several “false labors” at birth the baby could barely exit her body and had to be held right at the birth canal either until the cord stopped pulsing and we cut it, or until the placenta delivered and we were able to move baby and placenta as one unit. Because of the way a cord twists, it can lengthen, but there is a point it can no longer be stretched and would break.. I agree that in MOST cases a cord around the neck does not interfere with labor to the point of needing a c section or causing distress in a baby. It can cause longer labors, malpositioning of babies, and longer labors. It shouldn’t be something to fear, but something to be realistic about. I attended a birth once with the mom in a standing squat, and the baby was like a cocoon wrapped with cord, twice around the neck, around the shoulders, 3 times around the trunk and once around the feet. thankfully as the baby emerged, I determined the direction of the cord and unwound the baby quickly as she birthed. It’s easy to say when it didn’t happen to your child. I lost my perfectly healthy 5 and 1/2# son at 33 weeks due to a double nuchal cord. While true, living in fear doesn’t solve anything neither does ignorance. Women need to be educated to be their babe’s in utero advocate and to follow their intuition. I miss my son EVERY day and I wouldn’t wish this pain on my worst enemy. do you know how many people I’ve met in baby loss group due to a cord issue? Too many. It’s not something to take lightly. I’ve met too many mamas whose babies did strangle to death in their cord. Where they were fine during one ultrasound and dead with in 12 hours. I think you need to spend some time talking to people who lost their babies that way. I’ve been running a website of millions of mothers every year for the last 12 years, so I have all sorts of stories of pregnancy, birth, loss and more. 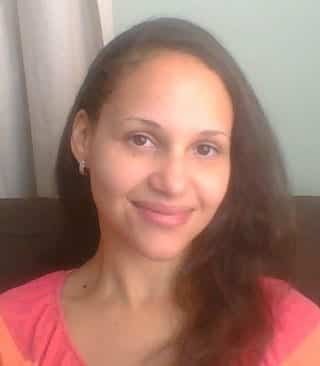 I am also a doula, so I have been to many births too. There are a range of cord issues that can occur. Midwives will tell you that a cord around the baby’s neck is very common. It’s not always fatal or an emergency, although it can be (which we mention). But there is far too much panic over it when most of the time, it’s perfectly normal and not a danger. Ugh thank you! I lost a baby at 33 weeks, ONE DAY AFTER a sonogram that was all rainbows and butterflies. The cord was wrapped so tightly around his neck, the doctor couldn’t even pry it loose without cutting it off. I never saw him, I couldn’t. But I have the gown they had him in after he was born, and it had blood around the neck. Kind of disappointed and even angry that someone would write an article that would take this sort of accident so lightly. Firstly, I am very sorry to hear of your loss. Rest assured, i’m definitely not taking it lightly. I acknowledge that it is the cause of death in some cases. But with 1/3 babies born with the cord around the neck, it’s making parents panic unnecessarily. It can also be part of an underlying problem – when 1/3 of babies will have a cord around the neck from moving around in the womb, we still need to look at other possible causes when a baby does sadly pass away at birth. What sort of birth will you experience if you are scared out of your mind that something rare will go wrong? I can tell you, it would be one very intervened birth. Fear and anxiety will not result in a smooth labour. 33% of babies will not die from cord around the neck. Sadly, a small percent will. Cord around the neck is a common occurrence, so it’s clarifying some facts in order to reduce fear. I wouldn’t want to write an article about a small percent of babies that will die from a cord around the neck — that would drive massive fear into women, when it’s not what we should be doing. This article talks about the studies and reasons why it happens naturally in healthy babies. I hope you can understand my angle. We can’t scare women about birth any more than they already are. Honestly, now that I DO live in constant fear that this next pregnancy will go wrong (past the 33 week hump, thank God), I am constantly searching online for anyone that DOES have information on what can go wrong, and if there is anything that can prevent it. I understand that your article is meant to allay any fears about nuchal cords, but it’s a legitimate fear and sometimes, “It’s not as big a deal as you think it is” will rub some the wrong way. But thanks for your reply, I appreciate it and understand your intention. In your article, you don’t really acknowledge that it CAN happen sometimes. It’s completely dismissed. Let’s agree, as you just mentioned, that while it’s really rare it does, in fact, happen. We don’t want to scare women but we don’t want to completely invalidate the experience of these women who have lost babies due to (rare) cord issues. My thoughts exactly. As with so many other things pregnant women go through, doctors can be so dismissive of concerns about things that might be rare. Sheesh, I’m paying for you to care for me and my baby, so just check out whatever I’m concerned about. Kelly Winder, shame on you for taking this so lightly. Do you not realize that the error of these studies is that often infant mortality is not charted with live births? I lost my daughter on her due date with a double nuchal cord wrap, which caused fetal distress, lack of oxygen and organ failure. There were no other knots, kinks or clots in the cord or damage to subsequent tissue. The only reason I saw this article is because in a support group with tens of thousands of members somebody posted this article as a trigger of great distress. I understand that in many cases things are fine, but how very dare you take a condition that CAN be fatal and treat it so flippantly. As healthcare professionals we have the ethical responsibility to alert our patients to signs and symptoms to look out for and get checked for. I understand that we follow evidence based practice, however, if JUST ONE mother reads this article, has a cord wrap, and doesn’t follow up on it and you inadvertently cause the death of a child, (which likely you will never know about) I hope you can live with that. Because I would consider that criminal negligence, and your board or certification may as well. You need to calm down!!! This is an article with supporting evidence. In the article the author is not denying that things can happen or implying that nothing will happen. If this article causes you distress, move on. Stop reading. Its not difficult no one is taking any matter lightly. You are taking things too personally. My daughter was born with the cord wrapped around her neck multiple times and I think it’s silly to suggest that had nothing to do with her being unable to breathe upon birth. Honestly, it’s doctors that think the way you do that brush off a patients concerns just because something is “rare” they don’t want to “waste their time” looking into it. I’ve had to fight against doctors far too much and that causes way more stress than any of my worrying could. Doctors always diagnose based in the no m. I really wish they changed their way of the thinking. Not enough concern about the patient. If you ask a doctor to investigate further, they’re not following your wishes — is that your experience? Did you escalate your wishes if your doctor did not follow through? It’s amazing how fast things get done when you write to your hospital’s CEO and CC the Minister For Health. I’m certainly not brushing anything off. Parents may like to have an autopsy performed to find out the true cause of death, but many parents do not want to do this, which is totally understandable. I think finding out answers is SO important, this is why I write and encourage women to find answers and become informed. But it becomes tricky when a nuchal cord is present in a third of births and therefore a third of stillbirths too – it may or may not be the problem, but it may be the reason a doctor shrugs off the cause of death and will not investigate, so no-one has closure or answers. The cord image in this article – twins survived that impressive cord formation. So it’s not always going to be fatal when the cord is twisted or wrapped around a baby, when there are so many protective factors like the jelly, and they don’t need their necks to breathe. I would hope if you asked your doctor he would give you answers or investigate, and I would encourage any parent to push hard if their doctor was being complacent with his diagnosis. Doctors are unfortunately not researchers, once they graduate they may opt to do research, but many don’t and many aren’t trained researchers. The PhD took Dr Reed many years of research, and having been present at many births and being a university educator, I feel she is a respected expert on the topic. It is a very difficult thing, like may issues from conception to parenthood. Some things, we just never know. My baby was healthy until he was strangled by the cord during delivery. I almost died and he did too…6 days later. Every woman should be concerned! I’m so sorry for your loss, Virginia. I can only imagine what it would be like to be in your position, totally heart and soul breaking. Because there is nothing a woman can do about a cord being around baby’s neck, and because it does happen in 1/3 of births, it doesn’t sit well with me to freak out all the pregnant women who already have so much on their minds, mostly about what they can’t even control. If you go into labour in a state of anxiety, fear and shock, then a woman isn’t going to have a very good birth. Her labour might need augmenting because of the adrenaline surging around her body, which increases her chances of drugs, interventions and c-sections. Inductions/augmentations can make some cord issues worse. Health care providers are trained in what to do if a cord is around a baby’s neck. A mother can do nothing to fix it, nor can she prevent it. I think women going into birth informed and empowered is the best possible outcome. When we don’t interfere in a low risk pregnancy, they usually go beautifully. Not always, but low risk women can have great outcomes. If she is high risk, then the care and technology is there. This is a very sad situation just like SIDS. You can do your very best to prevent it happening, but no amount of anxiety and stress can change your baby’s risk. It only makes for a miserable journey – and we have enough on our plates as new parents. Again I am very sorry for your loss. I was just thinking the same thing.. I just buried my daughter Saturday.. Went for a routine appointment, Dr. couldn’t find a heartbeat. I was 37 weeks pregnant. My husband told me the cord was wrapped twice around her neck..If cords aren’t to be worried about, then why did my daughter die?? She was healthy and developing normally..if it wasnt the cord,then what killed my baby? Carla, I am really sorry for the passing of your daughter. I truly am. As mentioned in the article, as it is common knowledge amongst midwives and doctors, around 1/3 of babies has the cord around their neck in utero. Longer cords, frequent movement — it happens. Obviously being a visual thing you see after birth, it’s easy to see why people might think a cord can be dangerous. Remember, the baby isn’t breathing air through his or her nose, so if something is around his or her neck, they are not strangled for air. They are also in water, so there is usually not a great deal of pressure on the cord — if anything there may be pressure right before the birth. In some cases, the cord can indeed cause problems, but it’s a small percent as per the study findings. But we don’t see 1/3 of babies dying. Some parents decide to investigate the cause of death, and most of the time they get answers, but not always. If parents don’t investigate, then the answer may be forever a mystery. It’s a very personal decision, and one I wish parents never, ever had to make. Cord accidents do happen, I am not denying that. But if you read the studies I have linked in this article, you can see much more information about it. It’s not just my opinion, I am writing based on studies and medical professionals findings. I read your article and I have followed up with some of your resources. I am very grateful to you for sharing this article and I’m very disappointed to see that you are getting so much grief over an evidenced based article. Please don’t get discouraged by ill informed negativity. Your article was very reassuring to me as a mother and very informative to me as a nurse. Thank you! I found my baby’s cord around his neck in 2 loops and I am very worried. Baby is just 20 weeks old. I want a normal and healthy baby, no issue if I got C_section, all that matters is my baby. Anyone with such condition and the cord got out of neck? Christina I couldn’t agree more with you. This happened to me — I was pregnant with identical twin girls we had a cord accident on baby B — and had to have an emergency c-section she had the cord wrapped around her neck three times. everything was fine the friday before Feb 6th — they were born feb 10th 2015. 29 years ago I gave birth to a little girl. Posterior labour for 3 days resulted in my accepting an epidural – turns out it was a good thing because the cord was around her neck twice, with a true knot in it. I didn’t have a section, but I did have a high forceps delivery. Not because of the cord though, because of her posterior and bent positioning! The docs managed the cord just as you said, the whole ‘package’ came down together and when her head was out they had to cut the cord. Which was fine with me. That girl just received her Bachelors in Midwifery 🙂 There are plenty of success stories! On June 17, 2013 I was induced labor to give birth to my stillborn daughter. She was my third, and every single checkup until 37 weeks was normal for her. What was not normal is that it was my third pregnancy and nobody had me do kick counts this time, since I was a “pro”. My girl was moving less in the last weeks, but I was convinced it was normal sleeping increasing. On June 15 it was Father’s Day and was 38 weeks. When I woke up the normal movements I was used to were absent. My husband and I went into the hospital and after being given an ultrasound were given the devastating news that our Holly had passed. When she was delivered, the cord was stretched tightly around her neck 10 times. I know I have a horrible spot on the top number of cord wraps. Number 1 even perhaps. 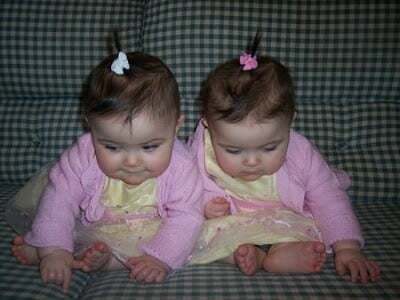 My life is great still, I have my first two, and five months later I was equally blessed with the rarity of natural identical twins, so it was not all for nothing. Please everyone, make sure you know your kick counts and know that a pregnant woman with even the slightest worry is always welcome for stress testing at any labor and delivery. Jyoti— get a good high risk OB and dont listen to people on the internet. i read this while i was pregnant with my son and it calmed my fears. When i went into labour my baby was in distress and they stuggled to find a heartbeat they did find it again but when he was born the cord was wrapped round his neck twice. I nearly lost my son and u say it cant strangle babies…. There are lots of reasons babies go into distress, especially towards the end of labour. Induction of labour is a very big one, especially if you’ve had Pitocin/Syntocinon or other medical induction drugs (if you read the medical information on the drugs, it’s listed as a side effect). It’s also common for the heart rate to drop right before birth, as there is pressure on the baby’s head. Around 1/3 of babies also have the cord around the neck. Given the rates of inductions and other interventions, can you see how it can get confusing as to what actually caused the distress? I was born with the cord wrapped around my neck three times. My son was born with the cord wrapped rather snugly once around his neck and once around his body. Given I ‘survived’ having the cord wrapped three times myself, the presence of the cord around his neck did not bother me in the slightest – it’s just a thing that happens. I am truly very, very sorry to hear of other mothers losing their babies. There are so many things that can go wrong in pregnancy, up to and including the delivery; to blame the cord on a loss without investigating further seems too simplistic. Jen, why would you make the assumption that if a child with a cord wrap dies the parents do not investigate the loss further? We do. We go through autopsies, MRIs, organ inspections, and placental inspections. Sometimes it legitimately IS just a cord wrap. Making a judgement about other parents seems simplistic; especially considering that we would do ANYTHING to bring our children back and we are desperate for answers. I have given birth twice. First, a son, with cord around his neck, torso and leg. Cord so tight, midwife could not get over his head during delivery. The two midwives, one trying to un wrap him one wAy, the other the Other way, were laughing. Was posterior. Three hour second stage. Second, a daughter, with cord around neck. Both born at home, 18 years apart. I suggest that if you are pregnant, or soon to be, you focus on clearing energies that could block the aliveness of your coming child. Do the energetic clearing work, make the world a safer place, and baby will come thru. Many have nuchal cords. Most do not perish. Like research says, there can be other causes of death, and the nuchal cord is there also, in 1/3 of all babies….i believe in the power of prayer. Make right your relationships, with partner, family and friends…I am praying all motherbabies have safe journey! Homebirth is best!! Md’s can share a lot of fear…..that your precious lives zero need! As a midwife and childbirth educator I am very happy for this information to get out there to other birthing professionals and to the general public. Cord wraps and cord compression are something that expectant moms worry about and talk with their providers about and providers need to be able to ease their fears. I agree whole heartedly with the vast majority of this article. I believe in delayed cord cutting, believe that most cord wraps are not that much of a difficulty during the birthing process. However, there is one statement that I feel although technically correct it is not really completely factual. It may not be harmful to the baby during the birthing process but research has shown that it has long lasting effects on the fascial and neurological function of the newborn that can be lifelong and limiting. These effects can be as mild as difficulty with latching on or sucking with breast-feeding, deficiency or lack of tongue thrust, swallowing issues, digestive issues, colic, or gas. The effects can also range into sleeping issues, neck and head range of motion and control issues, arm and hand motion in control, and breathing issues including childhood asthma. Some of the more serious of effects can be lack of tone, hyper tone, clubfoot, cerebral palsy, seizures and overall fascial tightness in and around the cranial bones which limits the breathing affect of the cranium and may limit brain growth and brain function. When you look at all these possible effects of the cord wrap after the birth which can impair breast-feeding, child’s physical growth and well-being as well as limit development I think we as birth providers need to think about the effects of these wraps after the birth. I am sure that for most of you reading this that it may be the first time you have been made aware of this connection. This is tragic because as this article states 1/3 of births have a cord wrap which although it causes no difficult at the birth may have immediate and/or lifelong repercussions. The good news is there is an easy way to assess the possible impairment the cord wrap has caused and a wonderful and easy therapy that can correct the issues caused rapidly especially the sooner after birth it is begun. The assessment, Baby Brain Score, can be added to the post birth assessment of the newborn as easily as the Apgar score was added in the early 50’s. It takes very little time, needs no specialized equipment and gives the health care provider an immediate picture of an infants neurological health and potential. The therapy is Craniosacral Fascial Therapy or CFT which can be begun within moments of birth and done at the bedside with mom and baby without any special equipment. The best thing about it is that it can be taught to midwives, nurses, doulas, doctors and lactation consultants, childbirth educators as well as any other interested adult in two 2-3 day workshops. Nowhere have I said that it’s not harmful in all cases. I said in some cases it can be. However it should not be feared, as those cases are very low. I can understand why parents would not want to have an autopsy on their baby, but if everyone looks at the cord around the neck and decides that was it, it may or may not be the whole story. It’s a very hard topic, but we do know that there are many more common causes of fetal death than a cord around the neck. I am very sorry for any parent who has to experience a loss. I simply cannot imagine. Kelly, why should it not be feared? I agree that it is healthy to de-stress expectant mothers, but you are negating a medical condition that you know can be fatal. This is unethical. Just because it does not always cause death does not negate the fact that it is a risk factor. Smoking does not always cause lung cancer, but if you smoke you should have regular check ups and follow up on respiratory issues. This article may put expectant mothers in danger of lack of follow up care for a very serious condition. What would you recommend expectant mothers do instead of remaining calm, but vigilant for any signs that something is wrong? I would recommend that expectant mothers educate themselves, actively look for signs and issues, and if they think something might be wrong get themselves to a doctor immediately for medical testing. Because sometimes it is nothing, and it is just a mother-to-be feeling worried, but sometimes it is an infection, or a cord wrap, or a miscarriage. The difference between brushing it off and losing a child or finding out there is an issue and taking preventive measures is a lifetime of pain. Kelly, with all due respect, running a website and/or assisting in healthy births does not make you an obstetric specialist and as clinicians we need to realize the scope and limits of our practice and act in the best interest of the patient. And if a patient is thoroughly convinced that the cord being wrapped around their babies neck in utero IS a sign of something wrong, would you do everything to monitor that or would you brush off their concern with the information and statistics you’ve posted here? My guess is you’d do the latter. If a patient is concerned, then it’s up to the doctor if he reassures her that nothing is wrong and the baby seems fine, or decides to offer her a c-section. I’m a big believer in mother’s instinct, if a mother feels something isn’t right, then we need to nurture and support that. It’s also up to the mother to accept her trusted doctor’s reassurance or persist in asking for a c-section. That’s the choice to make between mother and doctor. I understand your intentions but I think it is slightly irresponsible. Yes it’s true that babies do not recieve oxygenated blood from breathing because they are in the utero, so they are not strangled from oxygen. HOWEVER they can cut off circulation to the brain which will result in death. You even mentioned how stillbirth occurs in 1/160 pregnancies, most of which is from an unknown cause or likely a cord accident. These statistics have not changed in decades, this is a problem. I don’t think it is right to give women false hope that everything will be fine because there is a pretty good possibility that it won’t be fine. I was told over and over again how everything will be fine and that I have the perfect pregnancy until I went in for my 40 week check up and there was no heartbeat. I was told it was likely a cord accident. If we don’t know why the majority of stillbirths occur then how can anyone make a claim that it isn’t a problem with the cord? Like you said, it is their lifeline. Who is to say it wasn’t tight enough for just the right amount of time to cut off blood supply to the brain and then loosen after death? Maybe a better approach is to make women aware of the risks so we start changing prenatal health care all together. After going through a loss I wish I would have known the risks and been a little scared ( or even a lot scared) rather than slapped in the face with being told my baby had no heartbeat after being assured for 40 weeks that it would all be perfect. My little girl died at 38 weeks of a knot. It’s all fine and good until you become that 10% and then you think… Go F&@#%* yourself you worthless statistic!! It’s rare but it does happen. To normal everyday people like me. Just know that. No baby is “safe” until they are born. The article is referring to a loop around the neck, and not a knot. This is different. Oh so now there is a difference???? This article should totally be taken down. Bad advice and bad journalism. Yes, there is a difference between a cord around the neck and a knot in the cord. A healthy cord is designed to protect adverse outcomes from both these events, however 1/3 babies will still have a cord around the neck. How can something so common be so incompatible with life? On the contrary, I have quoted research and professionals. Sometimes information I present doesn’t match a person’s experience or feelings. It doesn’t make it invalid or bad journalism. It is websites like these that really spoils it all. So what if you are a doula or midwife? You have no idea how many bad advices I’ve heard midwives or doula gave to patients. Doctors spends way more hours studying and their knowledge is far deeper. You’ve no idea how many parents cry and hurt due to their loss of their child due to cord around neck and to have an article saying it is mostly no big deal is absurd. Just so the public will be swayed with the all natural idea and go to midwives and doula. Bottomline is about swaying public perception for more business. You can argue all you want because after all you can say whatever you want on the Internet right whether it is totally the truth or not. Unfortunately it works both ways. We have breastfeeding rates that are shocking (50% are partially or fully formula fed at 2 months), and doctors (including paeds) are getting 0-3 hours of breastfeeding education in their entire degree. They give out some atrocious advice, usually along the lines of the baby needs formula because the mother needs to take some antibiotics for mastitis or something else which isn’t true. One mother was even told by her doctor the milk was infected by mastitis, and she needs to pump and dump it. Then there are the things they incorrectly tell us about cord clamping that isn’t based on evidence. We need to choose our carers wisely so we can find one we trust the most, but also do our own research. It can be hard to hear that the system we put all our faith in, can sometimes not be correct. Kelly, be that as it may, I would recommend that before you make judgements and claims on medical information you publish a clinical review of the research articles stating study reliability, validity, and error, including any limits to the scope of the study and publish information on multiple studies that are being compared including the circumstances and context of each and what it definitively implies regarding evidence based practice. This article that you have published makes broad generalizations about the scope of research, does not limit the context of the study, and frankly, offended a lot of grieving parents around the globe. I am not certain that this is the message you were wanting to send to your prospective audience. Nothing in the content is offensive – it’s a collection of studies and professional (medically trained and experienced birth professionals) comments tied together in an article. Offensive is subject to interpretation. We have the power to choose to become offended by things that cross our path in life, or we can ignore it if it doesn’t agree with us. Or, we could just accept it for what it is, because we have an open mind, and we use what serves us. It’s like saying breastfeeding information is offensive to formula feeding mothers, because they couldn’t breastfeed. But anything is only offensive if we make it to be, due to our story – how we feel about ourselves and our journey. Thoughts become feelings, feelings become emotions, emotions become actions or reactions. It’s just information which will can help or harm us as much as we allow it! Fact is: I did not tell any parent their child’s death was avoidable, in vain or that their choices caused it. I didn’t say they should have done X and could have prevented it. These things could be more understandably interpreted as being insensitive or offensive. I DID say it’s possible to have a death from a cord around the neck (and quoted numbers based on birth records), although it’s not common. How is that offensive? If I said cord around the neck is common and you should worry about it, would it be less offensive? If so, how does that even work? It would scare the pants off every pregnant woman when they don’t need to be scared. I have asked parents to report to their doctor if they feel that something isn’t right and to watch out for kicks. I feel this is sufficient. Some things we can do to the best of our ability but it’s not always in our hands. I can understand people like to have closure, a diagnosis or a reason for their grief. It’s common after the sadness to feel anger, point fingers and seek something to blame. They also don’t like old wounds reopened. However, this article was written to quell the fears of they majority of pregnant women who worry about this. They should know it can happen and what to look out for, but breathe easier knowing it’s less likely to occur than other complications. The fact is that it is a rare occurrence. If I wrote an article about miscarriage and focused on how it does happen, you should always remain vigilant, it’s more common than you think (when it’s around as common as the studies tell us) and you should worry about it… that would be offensive to me. Because it’s pandering to fears. Being informed and empowered is a far more powerful place to be than living in fear and expectation that something will go wrong. But I stand by my content, so we can agree to disagree – I wish you all the best. Hi Kelly – thanks for sharing information about this very emotive topic. It can be very confronting and cause a lot of heart ache and pain. I studied all of the research about nuchal cords for my PhD (and wrote my post based on that literature review). The problem is that a 3rd of babies have their cord around their neck. Therefore in a 3rd of stillbirths or fetal distress in labour cases there will be a nuchal cord present. When there is no other obvious explanation for the complication – the cord is blamed. This provides parents with a reason. When that reason is challenged it = pain and anger. This is not about research or physiology it is about emotion. For most stillbirths there is no known cause. THE biggest risk factor for fetal distress in labour is syntocinon and inadequate resting phase between induced contractions… however, this is not blamed when a c-section is performed for fetal distress – probably because it points to poor practise rather than blaming the woman’s body/baby. I hope our cultural fear and blame of nuchal cords can change and that care providers can be honest with parents and say “you baby was distressed because I turned the syntocinon up too high” or simply “I am sorry we just don’t know why your baby died”. Rachel, thank you for sharing your comments! I was really glad that Kelly Winder posted this article, and I understand fully what she is saying. I think it is easier for parents who have not had a negative experience with a nuchal cord to look forward with this information in hand and to be able to confront both their fears and their experiences rather than to have to look back without having been prepared with this information. My due date was 11th oct. I visited the doctor on 06 th oct. I was advised to wait for labour till 11 oct. Nothing wrong was reported. I had have NST done every week till 06th oct. On 10th oct i experienced some pain and rushed to the doctor. IUD was conveyed to me within 10 minutes of my reporting. A normal delivery was done after 07 hours of my admission. The reason mentioned in the discharge summary is “tight loop of cord around neck”. Plse suggest validity of docs remark. Sorry I am not sure what you’re asking there – are you asking about what was on your discharge notes? It’s common for doctors to leave notes about how the birth went. It’s common to have a cord around the neck too. But particularly for Pauline, who practices midwifery, I would say that your experiences do not fit with statistics, and patients of yours should be begging the question, “Why?” If the cause of 9 out of 10 stillbirths under your care are being labeled as resulting from “nuchal cords” then I would say that you are either (1) lying to avoid being prosecuted for malpractice, (2) uneducated in terms of properly identifying cause of death, which I don’t blame you for since even physicians struggle in this area and post mortems cannot always identify cause of death, (3) you experience a disproportionate amount of nuchal cords leading to infant death, which is HIGHLY unlikely, and which means that your personal experiences should not be used as an indictment against Kelly Winder. First of all let me say that as a father of two children that both passed away shortly after birth. One from Turner Syndrome and one from Myocardic Dystrophy. My partner and I are expecting our first child together and although we are nervous, things are good. Although neither was a cord wrap I understand how it feels to lose a child. I do not think you should discourage information from being printed. This is one opinion of a specific outcome not an overall problem that happens at childbirth. If you feel that you dont agree with the information, it is very simple to research for six months go to the menu and write the article yourself and the watch how difficult it is to not only get everything right and make everyone happy, but try to not offend anyone. That is why this article is very general and for any specific problem you should consult your own OBGYN instead of worrying about what the internet sites say where anyone can have their say. Kelly, i am sure being a writer that you have researched this but as we are unsure of your medical qualifications, if any, and unless you were recently published in any notable medical journals and not just some blog, it would probably be more proficient to provide information on where you got your information, what sources you spoke to etc. Luke, first of all, I am so sorry for your loss. I couldn’t imagine what you’ve been through. Thank you for sharing your experience. Like many TV, magazine, newspaper journalists etc, I am a writer bringing information to people. However, I am more researched than a standard writer and actually work in the industry which I write about. I trained as a doula in 2005, have attended close to 100 births (it’s only this low because it was in between being a single mama for some time before having another baby), and have been running BellyBelly since 2003. I have been immersed in pregnancy, birth and parenting information and research all this time, have spoken in parliament and been to many rallies. I have put on birth conferences and attended birth conferences by leading experts. All of my sources as linked in this article are from reputable studies and professionals, but you can’t get more reputable than a very experienced midwife who teaches midwifery and did her phd (do you know how many years they take? It’s crazy!) on nuchal cords — Dr Rachel Reed. This is the best, latest and greatest information there is on nuchal cords. I have also linked the article Doctor Rachel Reed wrote on nuchal cords. She has read my article and wholly agrees with it. The thing is, doctors aren’t researchers, they can qualify to be a doctor, but they don’t continue to do research. So a doctor with 20 years experience may still be embracing old ideas. While a doctor may be educated in medicine, they may not be up to date. Which is why I felt Dr Reed’s information was the best possible for this article. Lastly, thank you wholeheartedly for your comment… one of the best I have ever seen. Especially in this industry, every article offends someone. So wonderful to be understood. I appreciate this article. You have provided research to some issues I have been discussing for years! Thank you. i just want to know is the cord on the neck is the reason for not gaining weight and can normal delivery risk the life of my delivery. Ana, those fast labours can be very intense! This is really a question for a specialist or someone who has access to your birth notes. You can request access to your birth notes from the hospital here in Australia, I imagine other countries would have a similar option. Might be something to look into? My son as well was born blue. He too has some gross motor and a bit of fine motor skills delay. He just takes a bit longer to acquire the skill. He is very bright, and athletic, 8 year old, but we have noticed that it just takes more than our other children. Lots of repetition and do activities that require coordinating the left and right. The OPINION of the author on epidurals is biased and not fact-based. Considering she’s a doula I suppose that’s not surprising because doulas aren’t very necessary for child births that aren’t “natural”, which btw is an extremely offensive term for the many women who don’t have any choice but to deliver “unnaturally”. Also, basing this entire article on the research of one person is pretty thin and in an academic or medical community wouldn’t hold any water. It’s thinly-veiled self-serving advertising. Marie, did you miss all the other links I posted to studies? There is much more here than just one person’s research. The highly qualified person with a phd is very relevant to the article – on one hand you accuse the writer of not being qualified, then accuse one of being biased because she has more knowledge on nuchal cords than the majority of the population. Can I ask your qualifications and expertise on the matter if you wish to discredit anyone else’s knowledge? What is your expertise on nuchal cords? Could the cord double wrap be why she hasn’t engaged and therefore my cervix hasn’t ripened? I just read this article and wanted to share my birthing experience with my first child. I was 42 weeks pregnant, 1cm, and my provider insisted that I be scheduled for an induction. With anticipation and not knowing any better (women are induced all the time), I agreed. I had a full day of pitocin and no progression. That night they inserted the balloon and I progressed to 5cm. The next morning I had a full day of pitocin and the balloon was removed around 12pm and MD broke my water. There was no progression other than the back pain. My nurse was great that day. Finally I opted for an epidural at 7:30pm and it was just enough to relax me so I was able to fully dilate. Nurses had a hard time picking up babys HR and kept adjusting the fetal monitor. Around 10pm MD said lets get ready to have this baby. I started pushing at 10:45. No progression, baby was pushing against my pelvis and was not descending. This occurred for 2 hrs and 15 min. I knew it was not normal-my sisters had much less complicated deliverys. Finally, MD said baby is in distress and gave me the option for c-section or forceps. I opted for forceps. Baby had the cord wrapped several times around his neck, no breathing, was resuscitated. Poor apgar scores. He had hematomas on his head fro the forceps. He perked up with IV fluids, but 12 hrs later had seizure activity. His diagnoses is hypoxic ischemic encephalopathy. During our 10 days in NICU we were given bad news. He has multiple infarcts in his brain that can affect him later in life and his developement. Fortunately he has developed just perfect, despite the evidence on his scans. I had a healthy pregnancy but believe I was pushed into delivering him before he was ready. Also his weight was 7.5lbs. I am a mother of loss. I was 41 weeks when I went into active labor. When they put the fetal monitor on me they couldn’t find his heart rate. I pushed for 12 hours. I had 3 doctors arm deep inside of me trying to readjust his head. I was rushed for an emergency C-section. The cord was wrapped around my sons neck 4 times. He was unable to progress through the canal because it was so tight that his head would begin to turn. In all the ultrasounds we had done they were never able to see the cord around his neck. My son was healthy. The result of his death is from the cord. This article is infuriating to me and makes light of a very dangerous situation. If caught please please please listen to the advice of your doctor. I don’t ever want a mother to go through this grief. The issue of Umbilical Cord Accidents is usually misunderstood due to lack of detail . When it comes to Nuchal Cord events the studies available are inaccurate. What details are missed include ; Umbilical Cord vessel # some have one artery and one vein and are more vulnerable to torsion, umbilical cord morphology of which there are 8 – not all cord types have adequate wharton’s Jelly and are vulnerable to compression , All Nuchal Cords are not the same and there are two types A&B . There are additional details presented in our unique text “Silent Risk 2nd Edit – the only text on the subject. Pregnancy Institute has studied and researched UCA for 30 years . As an OB interested in this topic we have published the only prospective study on the topic. What is clear is there are no accurate studies on the subject of Nuchal Cord . Very informative article Kelly and reassuring that cord around the neck is not always harmful.